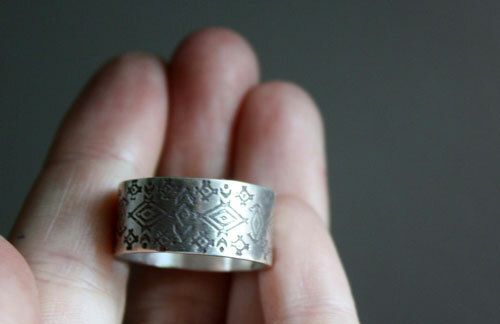 Huichols are an indigenous tribe from Mexico. 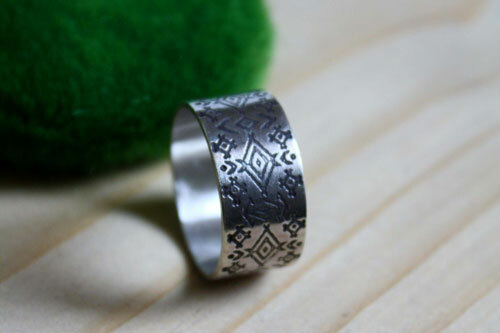 They are quite famous for their tribal patterns that you will find on jewels or textiles. 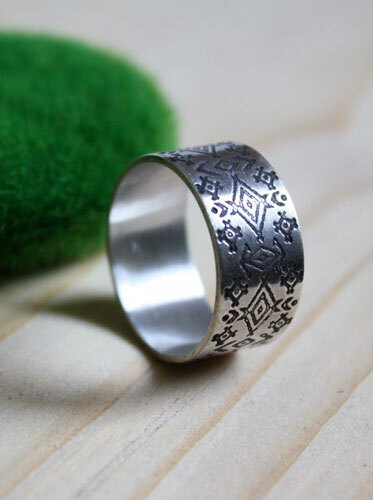 On this ring, you will find geometric patterns in the shape of diamonds, stylized cross in the Mexican style. 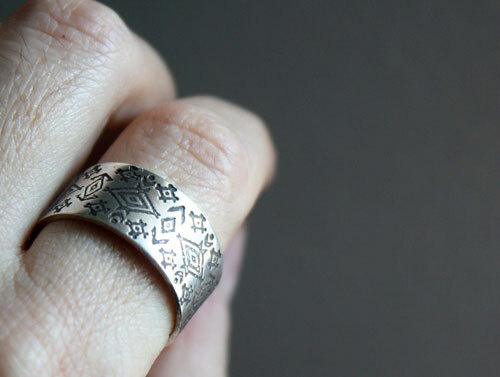 This ring will be the perfect gift for Pre-Hispanic pattern lovers, Mexican and tribal designs too. 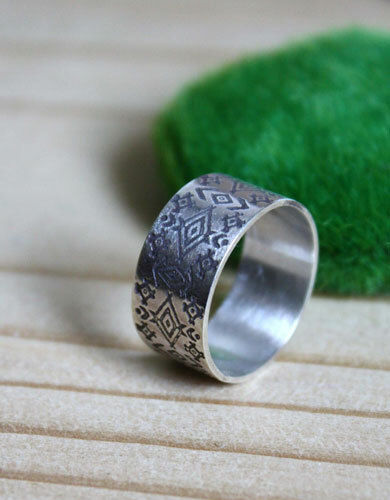 It has a bohemian feel and will be the perfect accessory for your boho outfit of the day.